Deutsche Bank increased its market-leading FX volume in 2012, at the same time that it reduced value-at-risk and headcount. Crucial to this development has been its investment in technology, exemplified by its new Autobahn FX 2.0 trading platform. The bank’s decision to maintain a full-strength FX structuring team has also helped, with growing demand for its strategy and hedging products despite the lack of volatility in the FX market. Deutsche Bank’s push into Asia, and in particular China, has also paid off. 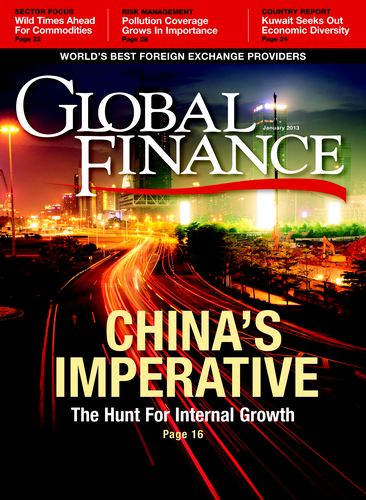 The bank added dozens of new corporate clients in China in 2012. Deutsche Bank recently completed its first cross-border payment under the People’s Bank of China’s new rules that allow international companies to pay and charge for goods in renminbi without the red tape and paperwork that was previously required. Deutsche Bank’s cross-currency payments platform, FX4Cash, offers a wide range of solutions. The bank’s managed-account platform, dbSelect, has become the largest in the industry. It offers currency funds in a risk-controlled environment, providing access to alpha in the FX asset class. Deutsche was the first bank to offer options on managed-account investment products. The bank is the largest dealer in euro/dollar derivatives. Thanks to its large book and new pricing engines and risk-management systems, Deutsche Bank is able to handle very large derivatives positions.